Feola’s Flowers and greenhouses, Inc. is one of the oldest family owned business in Buckhannon, West Virginia. Our doors first opened in 1934 and, to this day, third generation co-owners David and Howard Feola work hard to maintain the same superb quality of products and services to the public as did their fathers and grandparents. Come in and see us! Wedding season is here! We offer corsages, boutonnieres, centerpieces, seating decorations, and custom pieces. Stop in today to see our photo books and get an estimate. Call us now to book your wedding! We are currently planting for spring. It won’t be long until it is time to get your potted plants and hanging baskets! We have silk arrangements for every occasion. Our show room is filled with custom designs and updated regularly. Silk arrangements start at $35 and up. Spring is right around the corner. Call us today to get an estimate on all your landscaping needs. 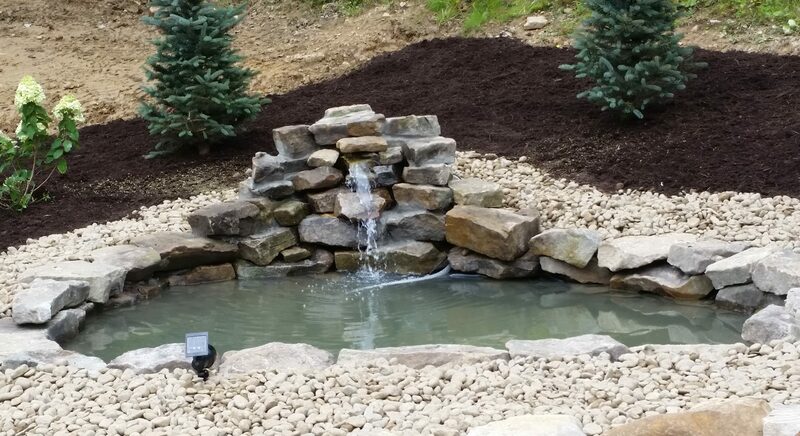 We offer tree and shrub removal, mulch, custom waterfalls, or a custom design for your individual space. Ask for Howard! We are here to make your life easier during times of sadness. Our funeral baskets start at $45 and up. You can choose the fresh cut flowers and colors that we use to create a beautiful piece for your loved one. Call us today!